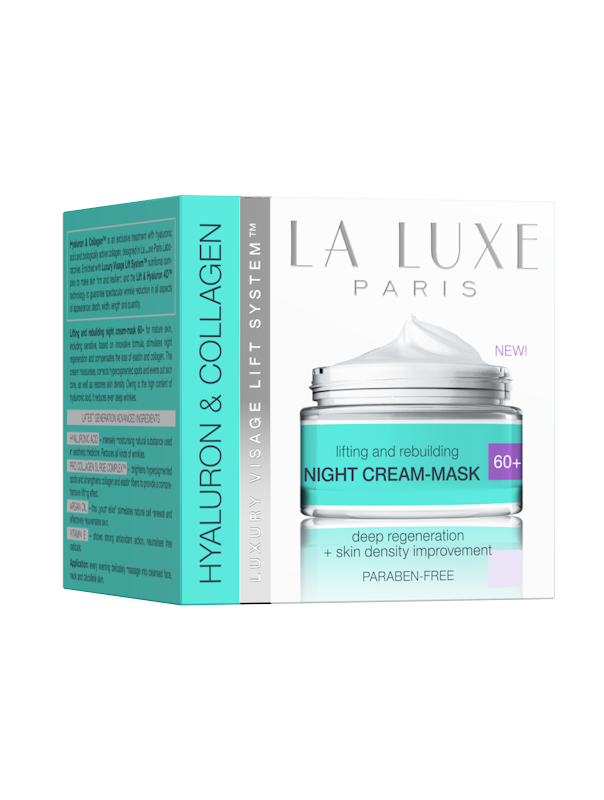 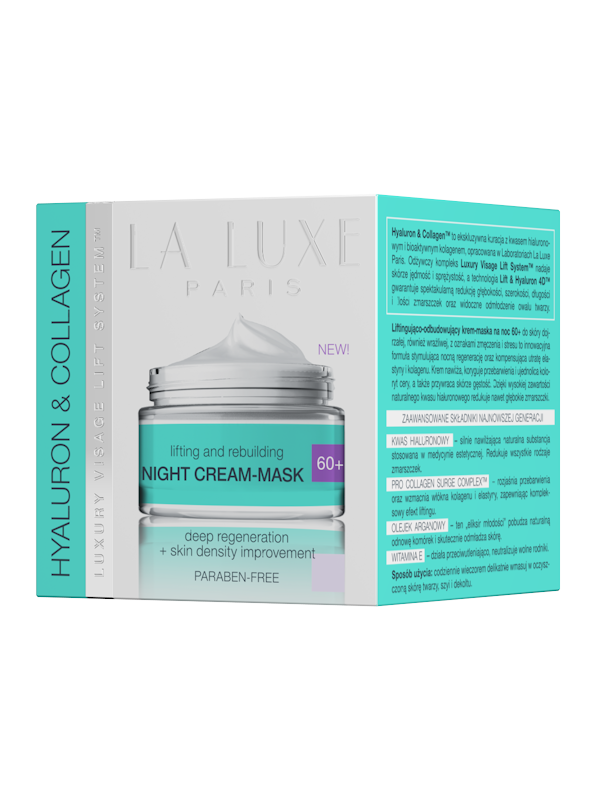 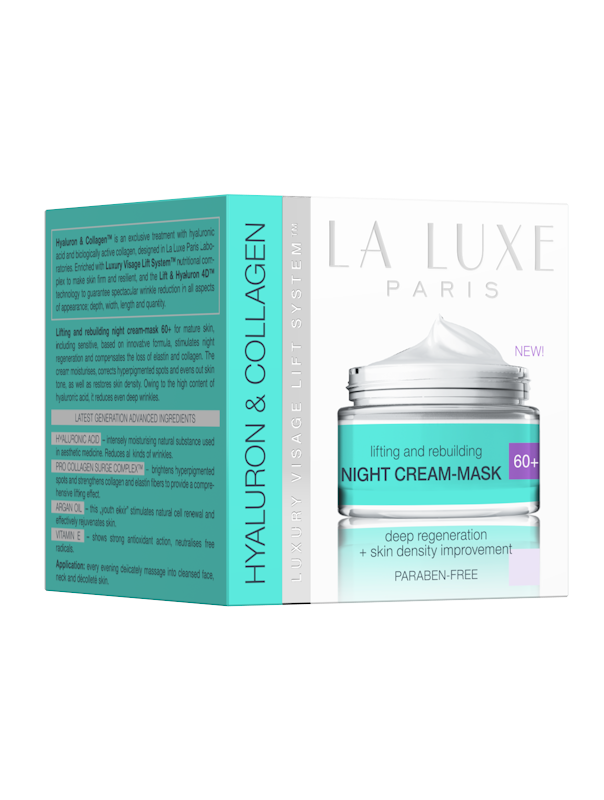 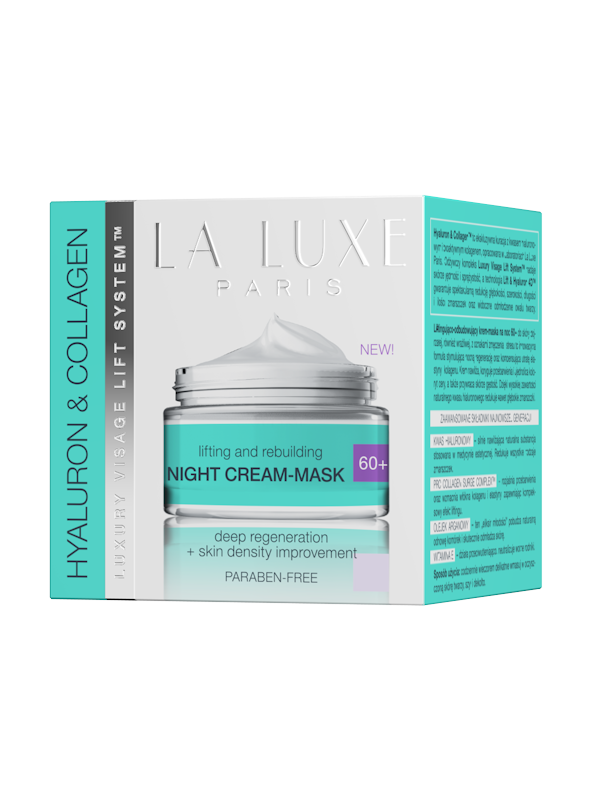 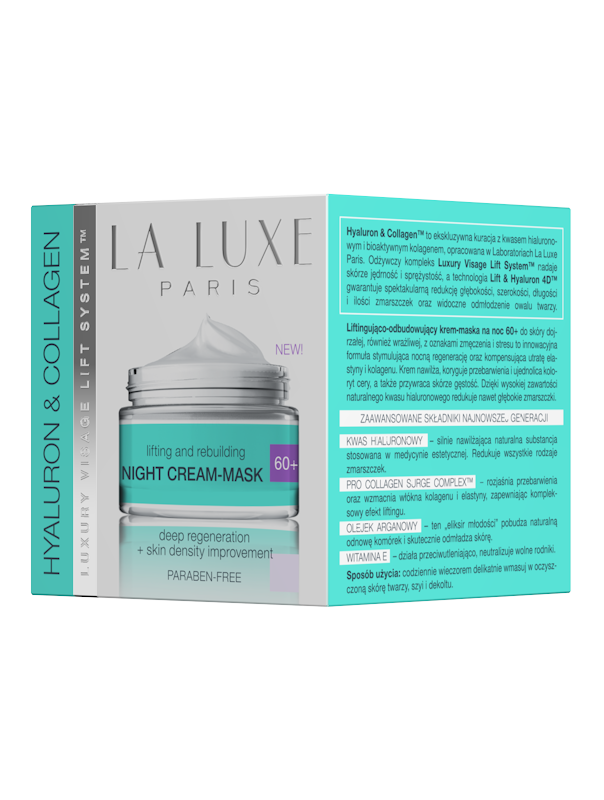 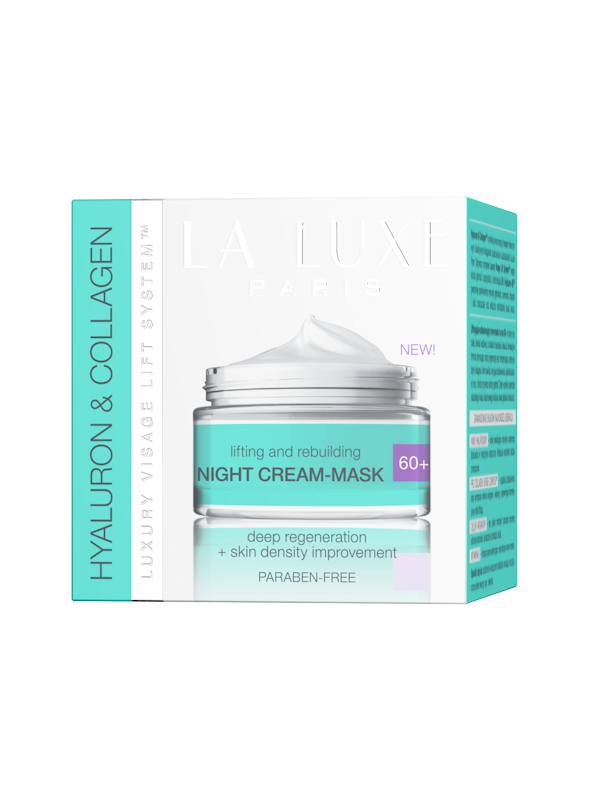 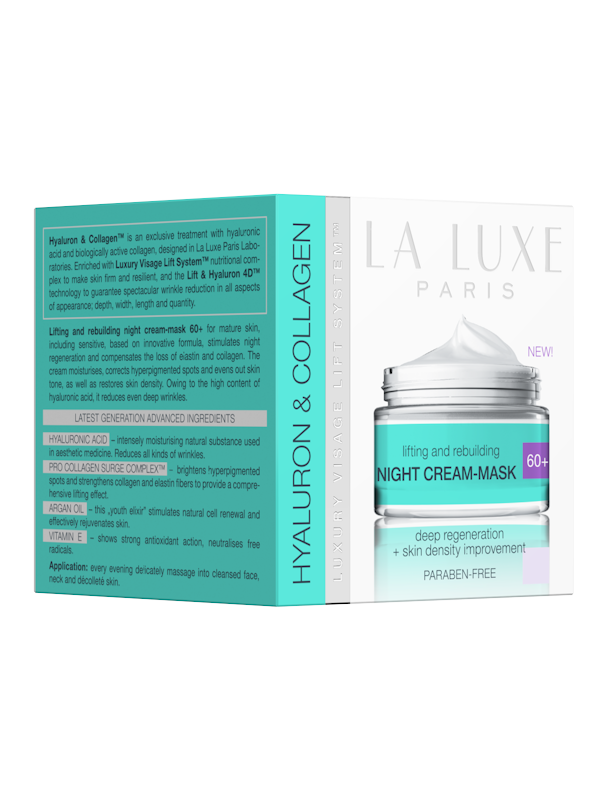 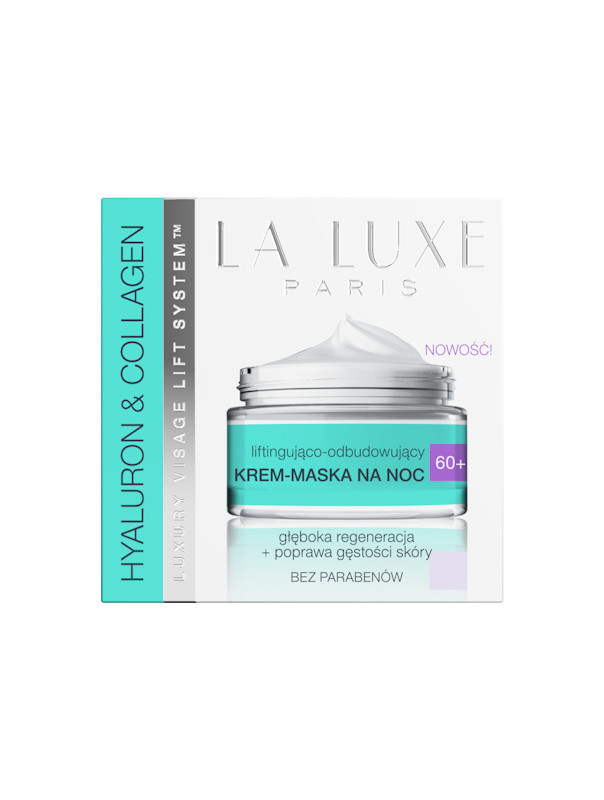 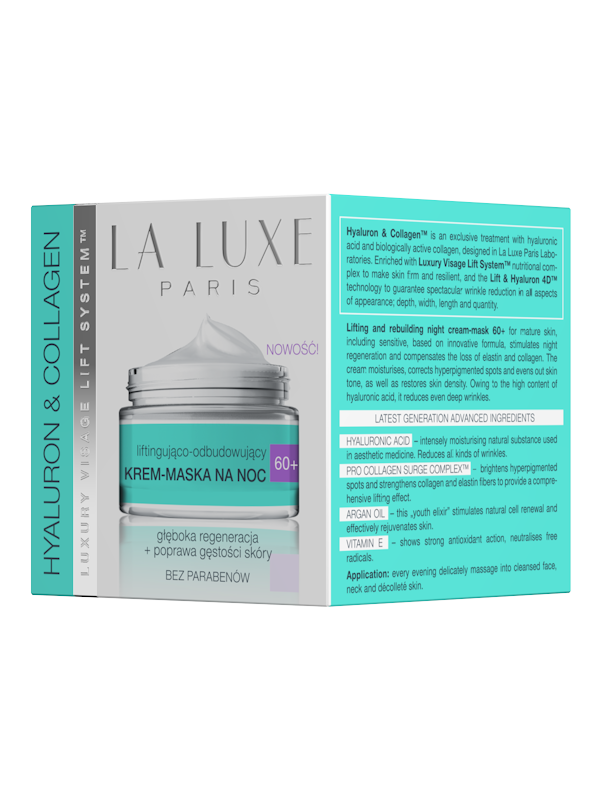 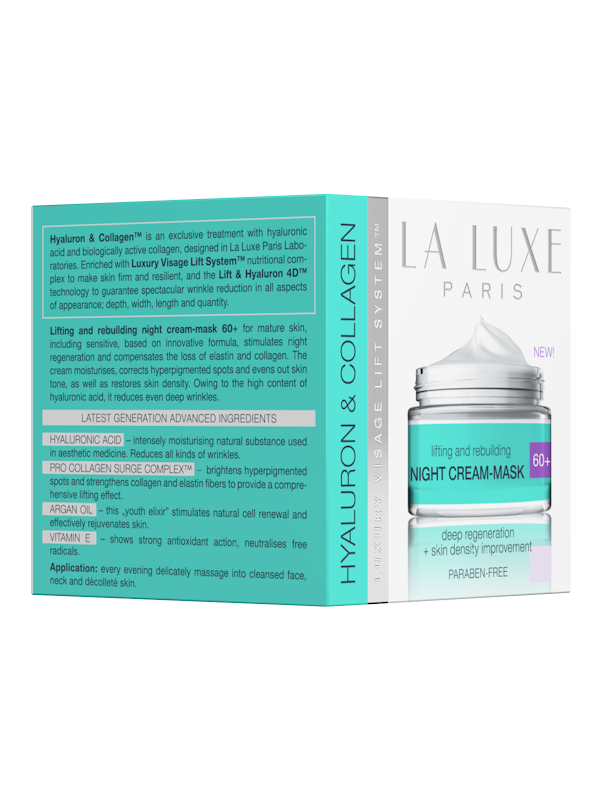 Lifting- rebuilding night cream mask, 60+is designed for mature skin care, sensitive as well, with visibly signs of tiredness and stress. 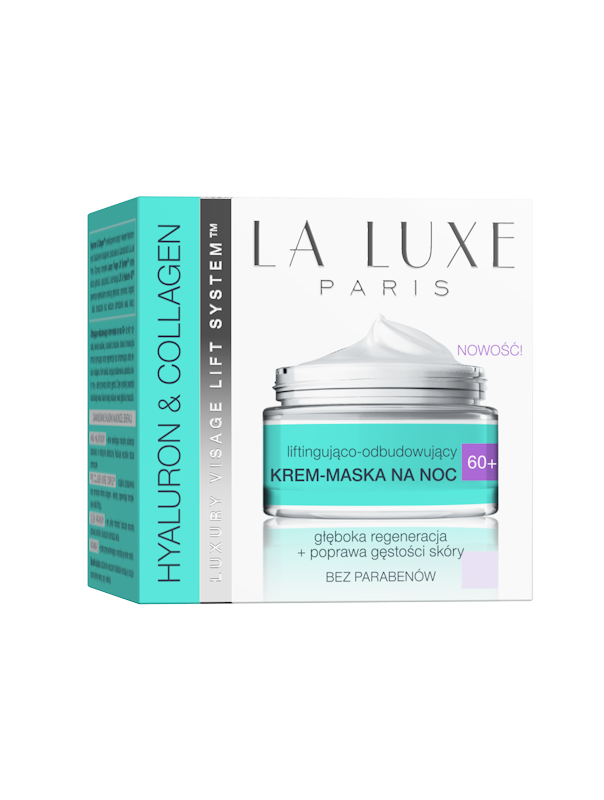 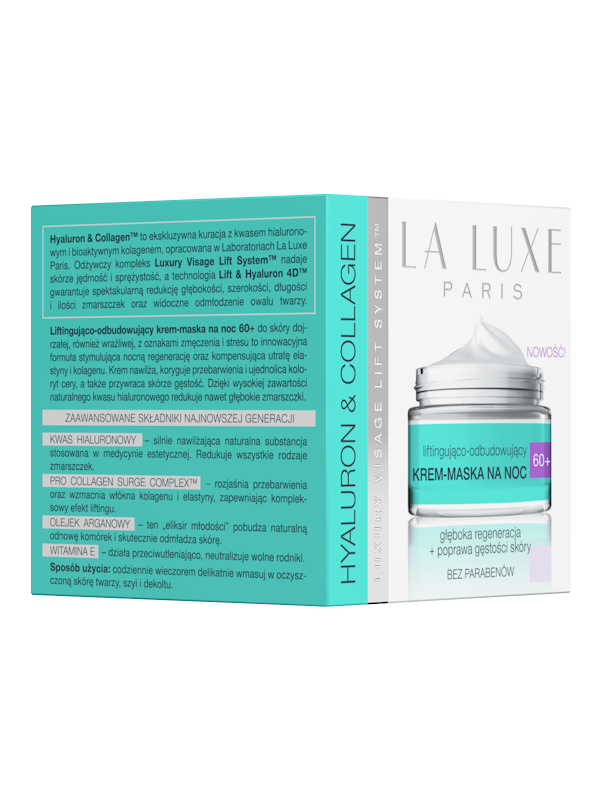 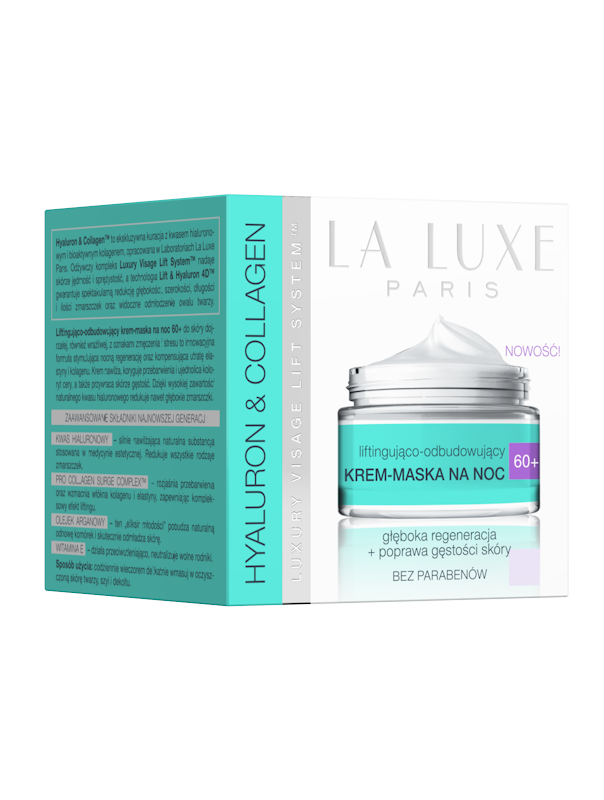 Innovative, rich formula stimulates nightly skin regeneration, replenishes for elastic and collagen loss and restores the right hydration. 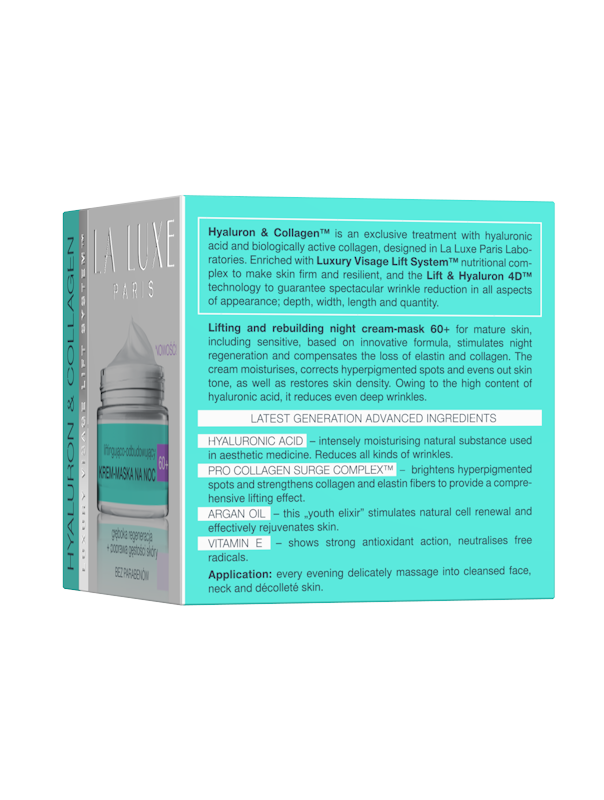 The product strengthens the skin, effectively reduces even deep wrinkles, helps to reduce the appearance of the dark spots and freckles to restore skin’s natural even tone. 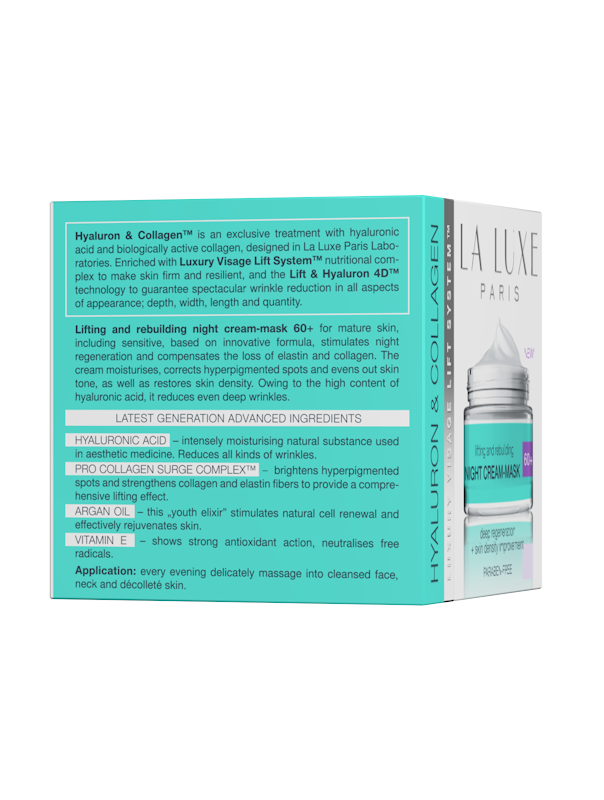 Unique active ingredients restore skin’s density and its elasticity, firmness and smoothness. 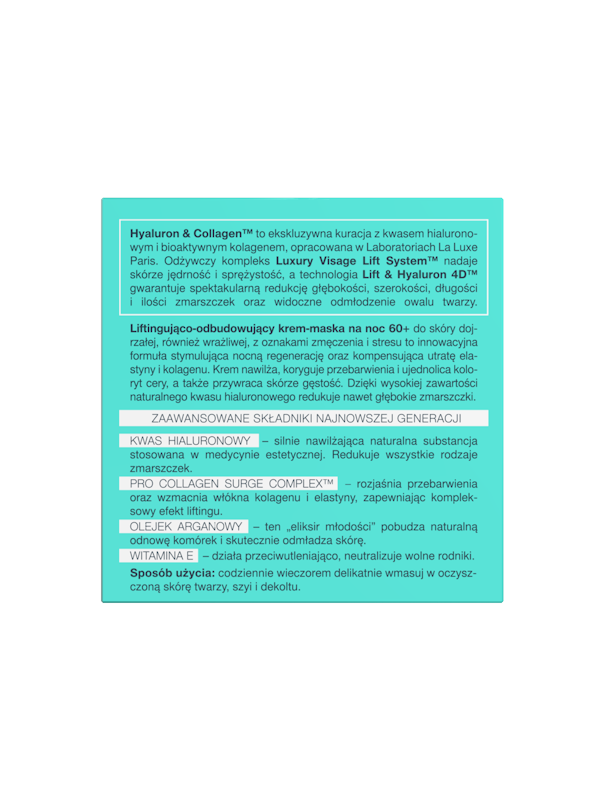 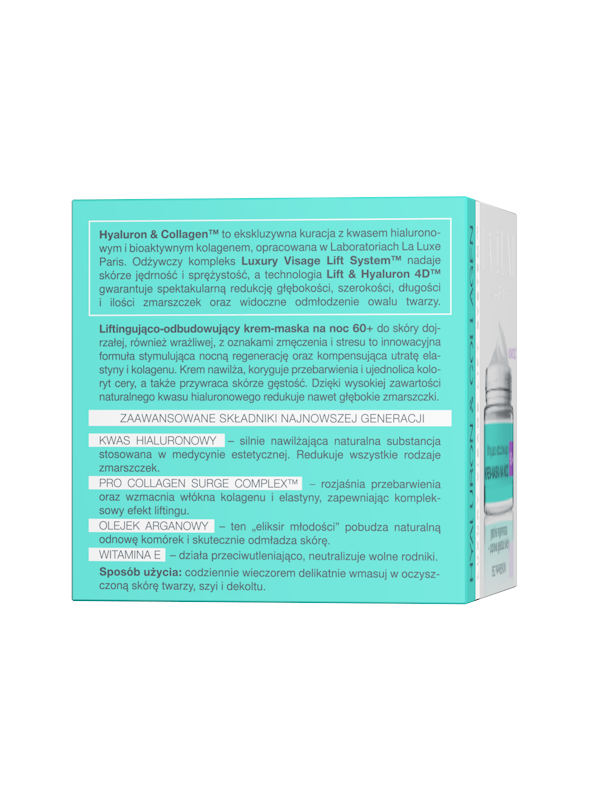 High content of natural hyaluronic acid fills the wrinkles from inside. 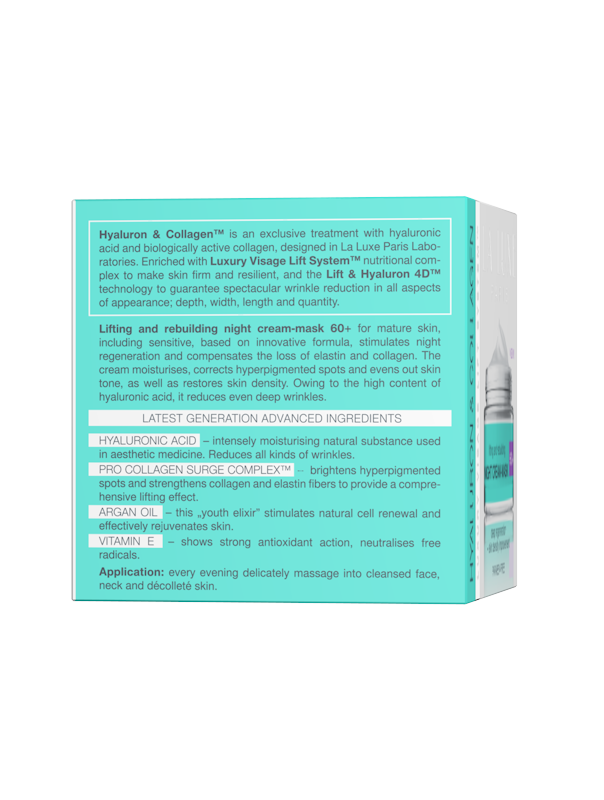 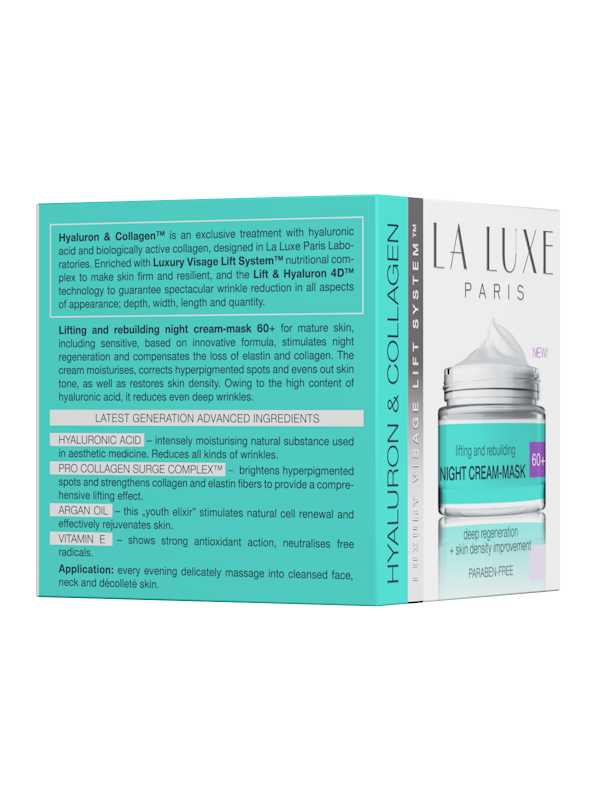 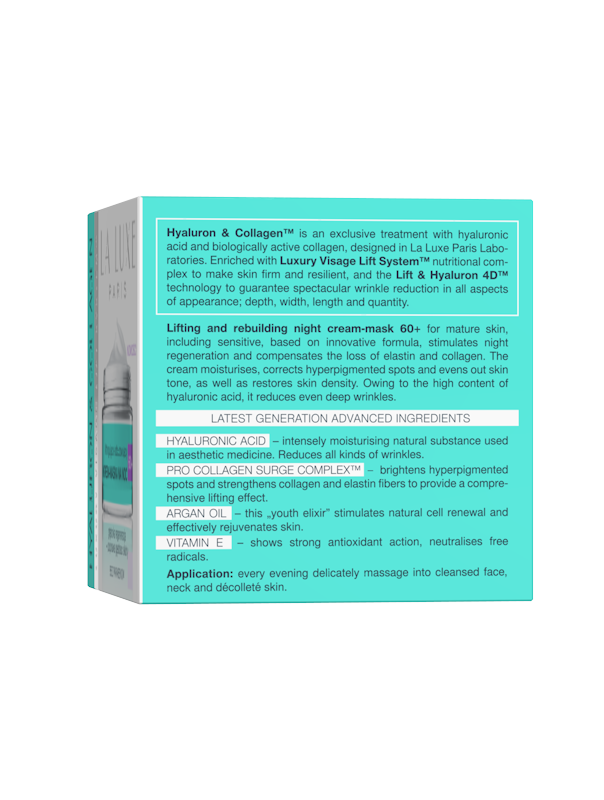 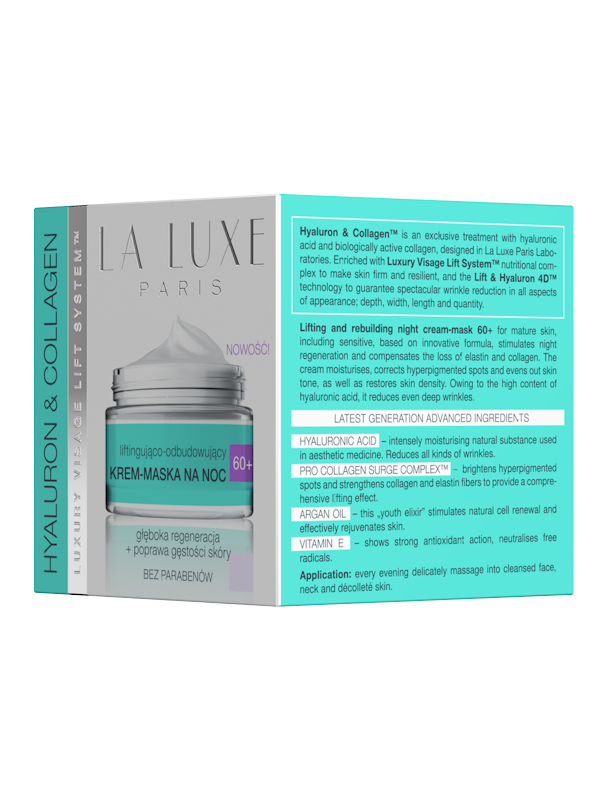 PRO COLLAGEN SURGE COMPLEX™- reduces the appearance of the dark spots and freckles and strengthens collagen and elastin fibers, with lifting effect. 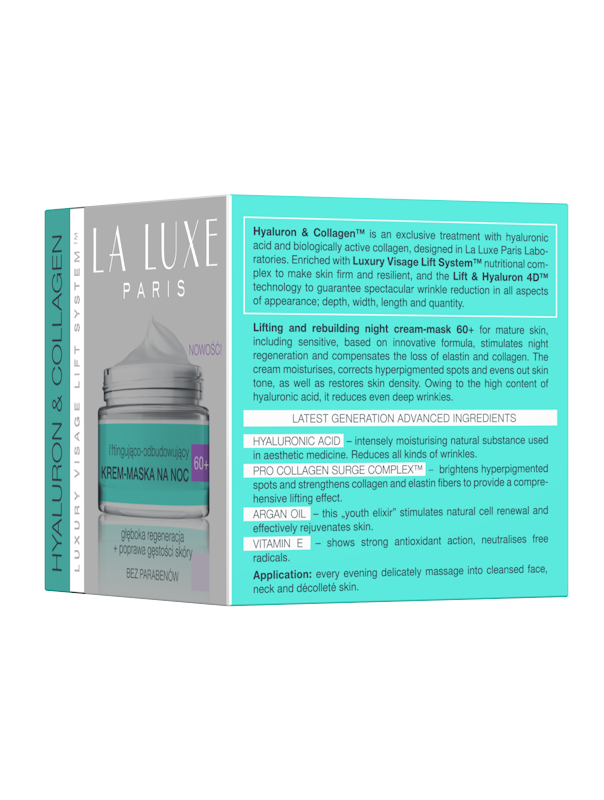 The skin regains its firmness and elasticity. 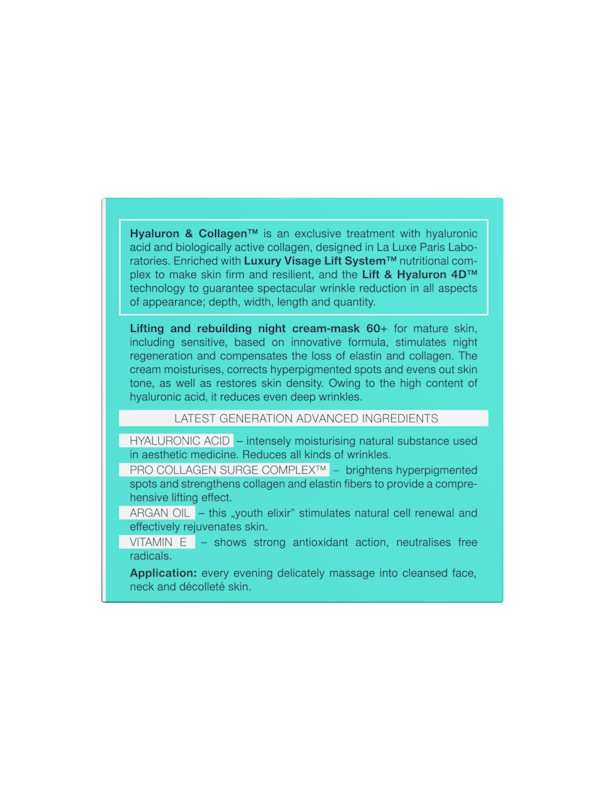 It moisturizes firms and tightens skin.